Did you know that Chiropractors have been fined a lot of money for making false advertising claims about the DRX? Did you know that NASA’s actual research as conducted by the Ames research center has found that astronauts back pain actually increased in space? Did you know that NASA is attempting to get Axiom to stop making fraudulent claims that NASA discovered the DRX ? Why would you want to be treated on a machine that got FDA cleared as substantially similar to the original patented device called VAXD and then misleadingly pose themselves as a new discovery by NASA when NASA had nothing to do with the creation of this technology? Why not be treated on a much newer system that offers more and was FDA cleared many years after the older DRX technology was cleared? Why be a sucker for false advertising? What you are saying is you want the latest and best technology to be used on your back to get rid of your back pain, right? What if I told you there was an even newer (By several years) piece of technology that could take your pain away with even more advances that works even faster and hasn’t been asked by NASA to quit using their name falsely? Did you know the DRX was FDA cleared in 2001 and the ----------- was cleared in 2004 (or 5) offering significant advances over the older copycat DRX? Wouldn’t you want the newer technology instead of the older stuff? Did you know that Doctors around the country are getting rid of their DRX units so they are not associated with all of their false ads? Spinal decompression therapy works, but it wasn’t discovered by NASA and the DRX is not the best machine out there. When you see how they work and how we work you will understand. When do you want to come in so we can get rid of that pain for you? When you ask about the DRX are you asking because you want the latest technology to be used to get rid of your back pain? What if I told you that there was a machine three years newer then the DRX that was vastly superior in many ways? Did you know that a racketeering case for false advertising has been filed against the maker of the DRX? Did you know there is a newer better machine that blows that machine away and it is right here in our office? When you say you want the DRX you are really saying you want the logarithmic pull cycles that stretch the discs and bypass the body’s normal lockdown that usually prevents the stretch from getting to the discs. This is why chiropractic adjustments need to be given so quickly so they can bypass the body’s proprioceptive lockdown of muscles and ligaments. 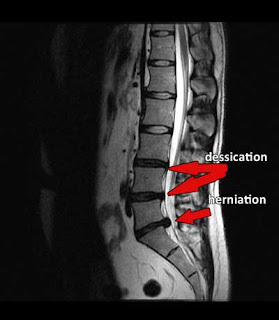 The DRX uses a slow ramp up of the stretch to bypass this protective lockdown and they do it in a logarithmic or gradual manner so that the protective movement sensors in the spine don’t lock down the muscles and ligaments, thereby allowing the stretch to be exerted onto the discs. Without the log curve you could tie two trucks to a patient and you wouldn’t be stretching the discs you would be stretching the ligaments and muscles that locked down to protect the discs from the potentially injurious movement the proprioceptors sensed when they perceived the movement. There are much more effective and newer more modern and advanced ways to bypass this lockdown phase and reposition the discs then the older DRX technology. What you are really saying is you want your back pain gone as soon as possible and you think the DRX is the best way to get it gone, right? If there was a better piece of technology available would you want to know about it? I provide this information only because I trully value Spinal Decompression and I know that there is allot of misinformation about the procedure. The machine works but please understand that there are other machines out there that can do the same thing and can also do it better.